If one doesn’t know how to make the first step, he will not get to the point to do all the upcoming ones. One cannot succeed in dating if he doesn’t know how to get a girl in the first place. Learn in the free articles below how to approach, meet and get women anywhere, any time. Many men fear to just walk over to a woman and to approach her. What most men are looking for are pick-up lines and word-for-word-scripts they can use to interact with women. But what they don’t know is that this ain’t help them at all. Read in this article why another pick-up line just isn’t going to make a difference and how to approach women with success. When it comes to getting women, most guys are afraid to ruin it, so they either try to please a woman or they don’t make a move. In this article I am going to teach you the foundation of how to get women. For some men, meeting women is just like picking a t-shirt from the wardrobe. For others it’s a mystery wondering where all guys find their girlfriends, where they meet women and how they do it. 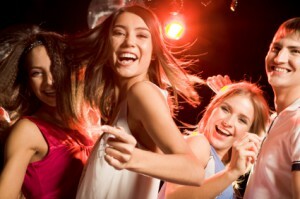 In this article I will show you where and how to meet women day and night.